New Red Lip Pencil to Go Out & Buy Now! Affordable lip color, we’re on top of it and recently discovered a new red lip pencil that can be worn alone or with your favorite lipstick. 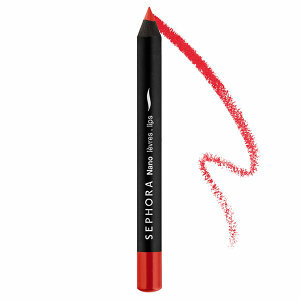 New Nano Lip Liners by Sepora are available in an assortment of colors but we’re into Real Red and it looks like it just might be that. The beauty is that it’s $5, hows that for budget friendly beauty?